Let's guess you want $1,000s of dollars for the monkey, right? 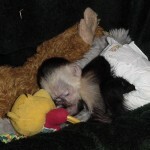 i have been looking for a baby monkey and i was wondering if you still got one? would love a monkey please email me with info. 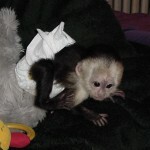 i have always wanted to have a baby monkey it would be the perfect addition to my family plese reply and let me know what i need to do to be able to add a baby monkey into my family. I would like to know if you still have your monkeys for adoption and how much please. I want to adopt your monkey.Please contact me. 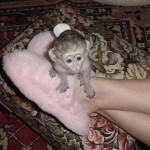 i would love a pet monkey,how much are you asking for them!! my kids have been hounding me for one so i am checking around!! Our family is very interested, we will love it and spend alot of quality time with him or her.